We have invested heavily in our boats, our classrooms and our equipment however at the end of the day it will be for nothing if the Instructors we ask to work with you are not up to the job. We have a core group of 8 Instructors that run the majority of our courses and a further 8 or so that work regularly with us. Each year a couple of new Instructors join the team however they will only ever lead a course once they have gone through our induction process and worked on courses alongside one of our Senior Instructors so they are comfortable with our standards and how we would like the courses to be run – and of course we get a chance to ensure that we are happy with them! One of the most common observations we get about our Instructors is how patient and calm they are and how that has really helped to increase the confidence of the person being trained. 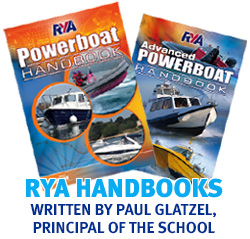 Hand in hand with this goes a real passion for boating in all of its forms and of course a real depth of experience coupled to an ability to clearly get that knowledge across to you in a relaxed and fun way. What we think of our Instructors only counts for so much though and it is really your views that count. Later in this section you’ll find some quotes from our clients about the Instructors. A bit more though about the people that work with us….